Bullying can happen to anyone at any age. It can happen in a variety of places; in school, on the way to and from school, in your neighbourhood or even at home on your phone, tablet or computer. When bullying happens it is often the case that it is ignored by those around us, and when this happens the behaviour goes unchallenged. But bullying can be stopped, and we all have a role to ensure that it does. Within any bullying situation there is the bully, the victim and the bystander. While it may seem obvious and appropriate to focus our work and support on the bully and the victim, it is the bystander who can greatly influence the direction of what happens. Some bystanders can instigate the bullying by prodding the bully to begin. Other bystanders encourage the bullying by laughing, cheering, or making comments that further stimulate the bully. But most bystanders passively accept bullying by watching and doing nothing. These passive bystanders provide the audience a bully craves and the silent acceptance that allows bullies to continue their hurtful behaviour. Perhaps the arena where bystanders are most prevalent is the cyber world. But just because we are not in the direct physical presence of the bullying situation does not mean we cannot do something about it. Bystanders have the power to play a key role in preventing or stopping bullying. 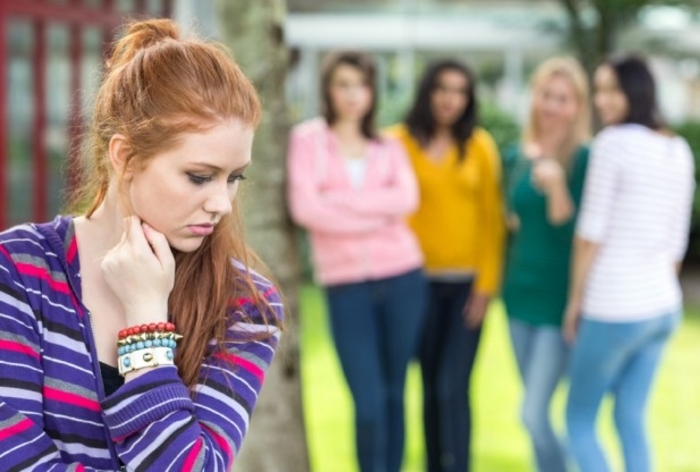 Some bystanders directly intervene in a bullying situation, by discouraging the bully, defending the victim, or redirecting the situation away from bullying. This can be a very difficult thing to do and takes courage, and the bystander must feel a level of support from others to do this. Other bystanders get help, by rallying support from peers to stand up against bullying or by reporting the bullying to a trusted adult. All of these options are very positive and will help to bring bullying to a stop. (1 ) The fear factor – of either getting hurt or becoming a victim themselves. (2 ) The fear of retribution. (3 ) They’re not sure what to do or what to say. (4 ) It’s none of my business. (4 ) They don’t want to draw attention to themselves. (5 ) They think telling an adult won’t help or might make things worse. It is important to empower children to feel confident that they can become helpful bystanders. As parents we need to talk to our kids and discuss the different ways we can have a positive impact in another person’s life. Children need to know they will be supported by adults in any bullying situation and this will make their proactive bystander’s role easier. We must also make children aware that it is never wrong to let someone know if they or another person is being bullied. This is not telling tales or trying to get someone into trouble. It is being responsible and getting a hurtful situation to stop.